← Why Do Doctors Fear Social Media ? Increasing numbers of consumers manage their own health care through Internet and other health information technology activities, including chat rooms and communications with health care providers. 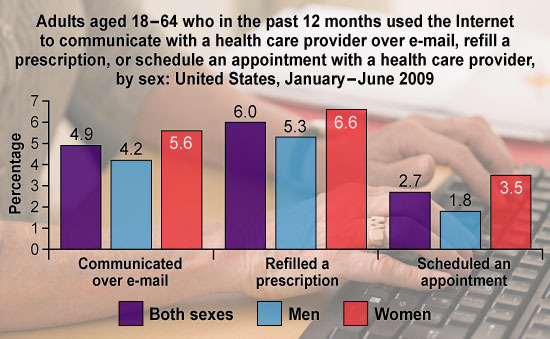 From January through June 2009, almost 5% of adults aged 18-64 had communicated with a health care provider by e-mail in the past 12 months . From January through June 2009, 51% of adults aged 18-64 had used the Internet to look up health information during the past 12 months.